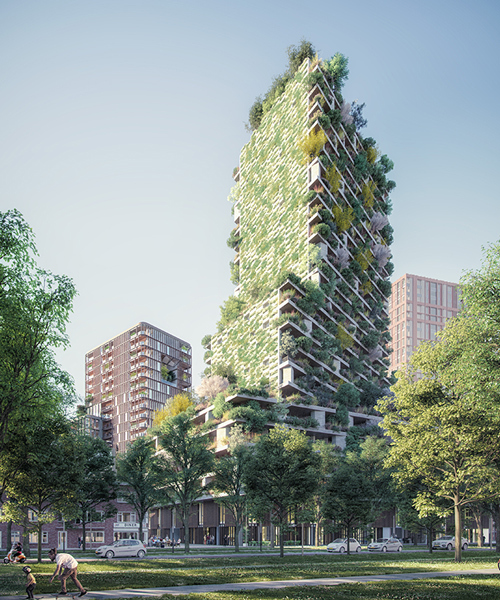 it has been announced that the netherlands’ first vertical forest will be constructed in the city of utrecht. 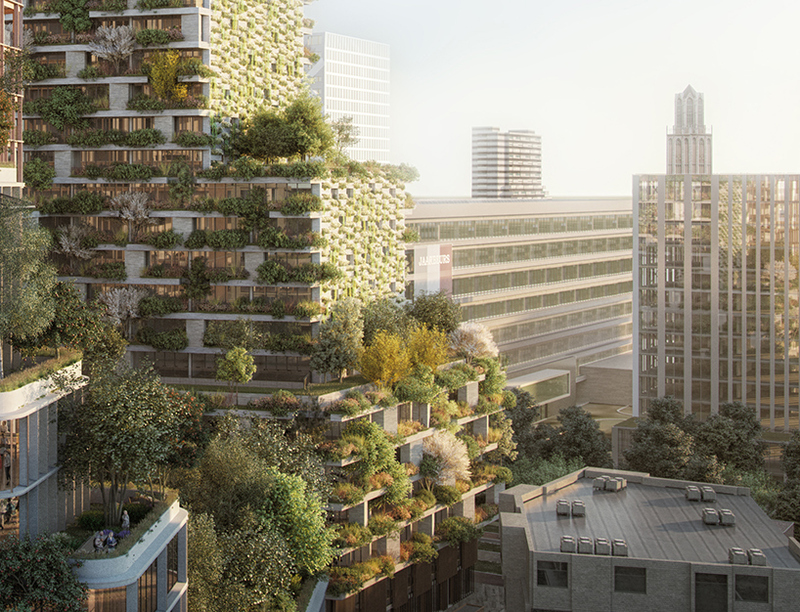 italian architect stefano boeri recently won a competition to complete the project as part of a larger urban plan for the city’s jaarbeursboulevard district. as part of the masterplan, two high rise buildings will sit as neighbors: one by boeri and the other by dutch studio MVSA. 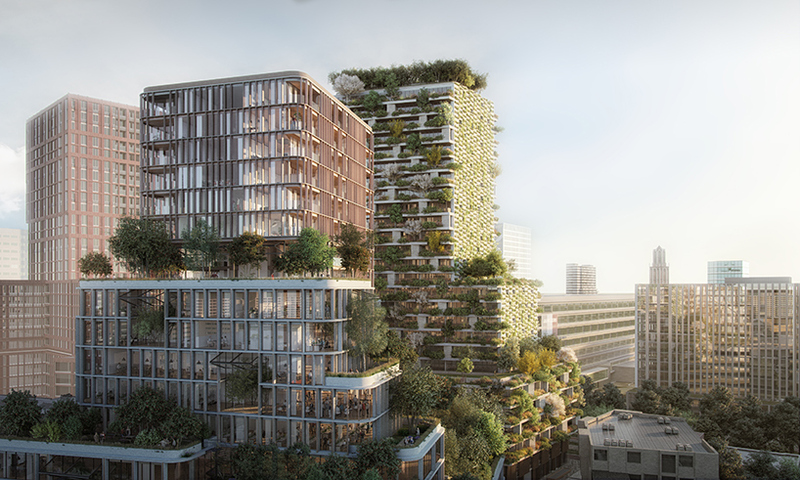 recognized for his buildings which bring living and nature together, stefano boeri’s 90 meter tower attempts to create an innovative experience in utrecht’s city center. 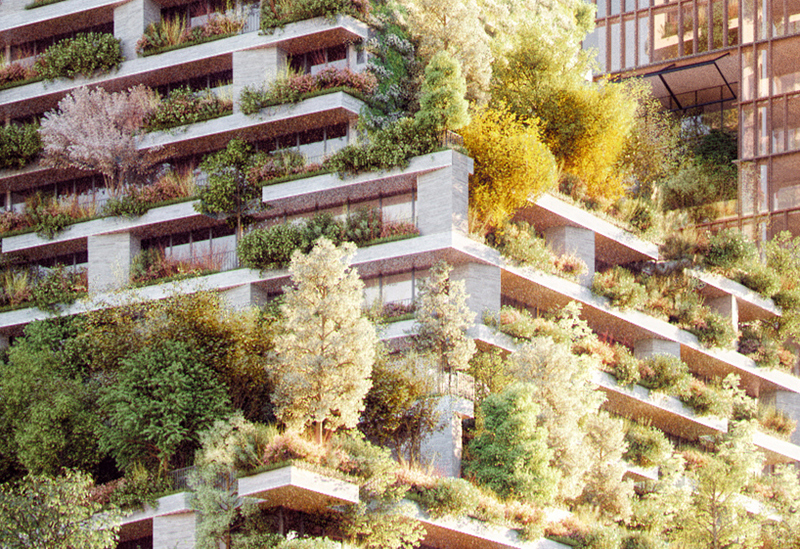 named ‘the hawthorn tower’, its façade will host around 10,000 plants of different species (360 trees, 9,640 of shrubs and flowers), equal to one hectare of forestry. once completed — estimated by 2022 — the tower will be able to absorb more than 5.4 tons of carbon dioxide. on its ground floor, the tower will host the vertical forest hub, a research center based on urban forestation worldwide. the open space allows visitors to learn about the technical and botanic solutions chosen for the tower and to follow the progress of other vertical forests under construction in the world. 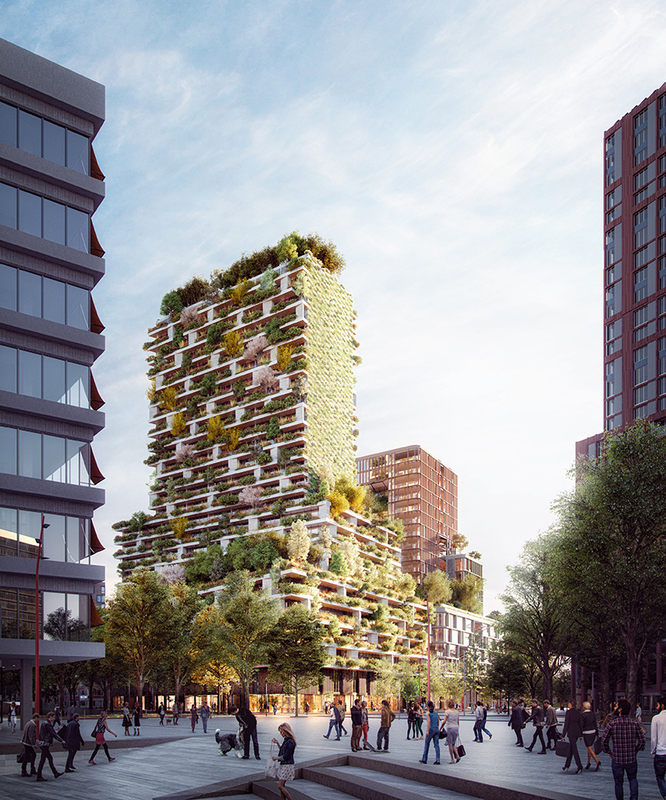 located in the heart of europe, the utrecht vertical forest follows the other urban forestation projects designed by boeri. 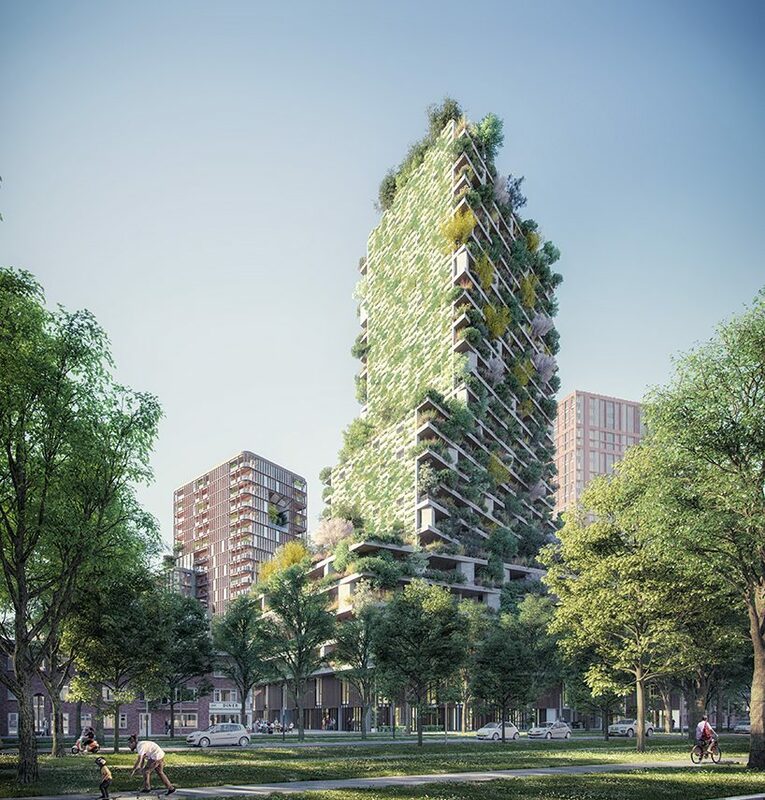 among them are: tower of cedars in lausanne, vertical forest in nanjing and other green buildings planned for paris, tirana, and shanghai.